Sorry for the repost. I just realized that poly bags could also be referring to the exclusive minifigures. I've been using small 2x3 poly bags to store my Star Wars minifigure collection over the past few months, but recently I heard that as they age, these bags can produce chemicals which damage the Legos. Do any of you have information about this? 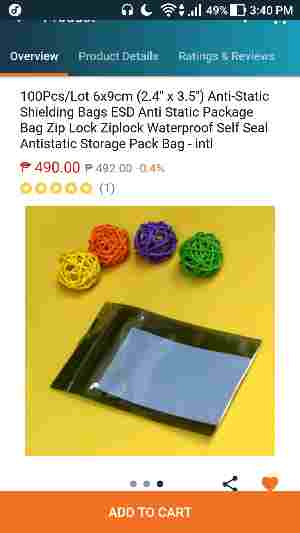 You need to use acid free non PVC plastic storage bags. I know Ziploc bags are BPA free, but I think that has more to do with adverse reactions toward the chemicals than protecting collectibles. Try this company. I'm sure there are many out there. Why not just use plastic (such as polypropylene) boxes? They also protect against impact, unlike bags. At the moment I use the small zip loc bags, then placed into one of those plastic containers. Would I be better off just having them in the storage box? Yeah, polypropylene is a really good material. It has resistance to heat, chemicals and oils. It does not block UV very well though. ^That's what I do. Much easier to access the minifigs than wrapping them in plastic. That said, I have had some lego in (PVC) plastic bags for must be over ten years, and I cannot spot any damage - no different aging to those that have been in other tubs. I was going to get a bunch of cases like those, but I am planning to display a lot of my minifigures in shadow boxes in my basement. I might still buy some anyway. Thanks for the suggestions! Pitfall, I'm going to do a bit of both - I found a very large $60 shadowbox on sale at Michael's for $30, which can hold about 150 minifigs, and I'll go ahead and get some non-PVC bags for any duplicates I have, which I'm planning on selling when their value goes up. This is a topic which I have taken an interest in since I bought like a zillion ziploc bags recently. Does anybody know whether ziploc bags, regardless of type, have any adverse effects on the collectibles inside? I must say, I was completely ignorant to potential problems I might be faced with when I bought them. Is it the bag that degrades or chemicals within the bag that react with the contents within them? The chemicals in the bag. They are BPA free, but I don't think that has anything to do with preserving collectibles. I used to collect sports cards and in the 90's companies started to market their acid-free non-PVC card sleeves. PVC is Poly vinyl Chloride. It is a flexible material, but I think it degrades paper and photos. I don't know its effects on ABS and rubber. IDK about ABS, but I've got many many many loose action figs from at least 3 different brands all ziplocked up for at least 10 years. They still look just fine, with no color changes, soft points, etc. BPA is a plasticiser that is thought to leech out of plastics and get ingested if it is in things like baby bottles. It exhibits similar binding as some hormones and can affect brain development and sexual organ development, especially in younger kids and babies. So maybe if you want more female minifigs, this is the route to take! :-) It has also been linked to an increase in asthma. There have been long arguments over whether it is safe for food use, some countries banning it and medical experts saying it is banned for political reasons rather than based on fact. Either way, we made sure our kids had BPA-free baby bottles. For anyone living in the UK and close to a Home Bargains shop, the plastic boxes that @Beav posted are available for a very reasonable £2.50 for a 24 compartment. They also do a 'medium' 16 compartment for around £1.80 (if memory serves) that looked to me to have the same size individual compartments as the large one. If you were really worried, you could store them in paper envelopes, or between sheets of paper in ziplock bags. If you want to be able to display them and be sure they are safe, then get something a little better quality. I store my (100+ year old) cigarette card collection in pockets like these ... http://www.safealbums.co.uk/Zen/cigarette-cards/cigarette-card-pages/cigarette-card-page-10-pocket - polypropylene with no softeners or plasticisers. They do a large single pocket too, 225 x 175 mm. Big enough for many of the sheets. You can get nice albums which look good on the shelf too. ^ Good call. Think I might guillotine up some A4 sheets of paper and place them either side against the bag. Ultra Pro is the leading manufacturer of protective sleeves for Sports Cards and Photos. They even have Magic The Gathering license and make protective products specifically for the game.